I have been back and forth in the strategy guide, and NOWHERE does it mention where that spear is obtained! Help! 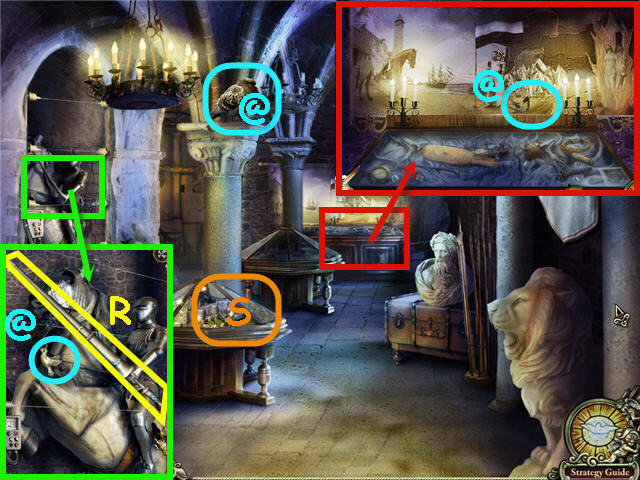 I checked the walkthrough we have for the standard version of this game and it looks like you can find the spear in the museum. It's in the inner room there and you'll get to it after using the electric prod on the horseman on the left. You can click here to see a screenshot of that spot in the game (the spear is marked "R"). You can also check out the full walkthrough by clicking here. Even though you have the Collector's Edition, the gameplay is pretty similar and it should be a good guide for you through most of the game.